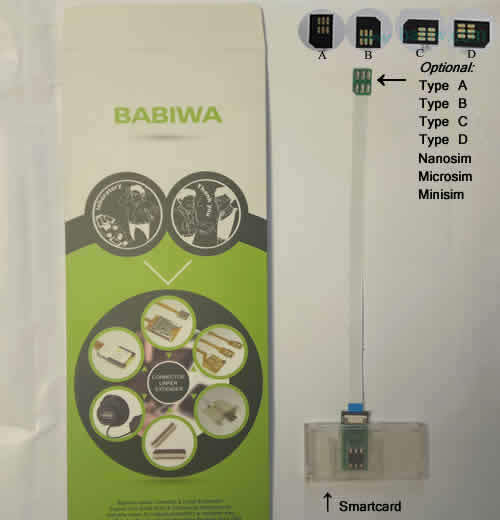 BW-MGL-61S Gray : Genuine BABIWA© Q series Apple iphone 6s plus (Gray) triple Sim Card Adapter ,with Specially Molded Gray Nano-Sim Tray(for the purpose of easy installation).Support 4g fdd-lte 3.5g hsdpa 3g umts wcdma 2g gsm gprs. Type No. BW-MGL-61S Gray BABIWA© Q series Triple Sim Adapter. Must have accessory Suitable for Apple iphone 6s plus (Space Gray) . (Support Any Universal or Worldwide Version,Support any official IOS). Newest Release ! Genuine Apple iphone 6s plus (Gray) triple Sim Card Adapter ,with Specially Molded Nano-Sim Tray(for the purpose of easy installation) . let your iphone 6s plus (Gray) install 3 sim cards !We are The only genuine supplier . Unique Design !! Let your Apple iphone 6s plus (Space Gray) Get Three Simcards(three numbers) installed for your Free Choice Conveniently and Easily without power on or off to change sim card!,you get three sim cards(one original nano-sim and another Sim card (nano-sim,micro-sim or common sim optional)installed in your iphone 6s plus Gray and switch to any one number online freely on the fly. 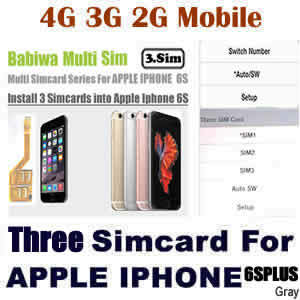 Very simple operation, Easy Plug & Play to Let your iphone 6s plus (Space Gray) get Three SIM Cards available in single one mobile phone. The adapter connects your current iPhone6 's Nano-sim with another Two Sim cards. and You also don't need to care if your iphone jailbreak or not. This is the BW-MGL-61S Gray suitable for Apple iphone 6s plus (Space Gray) ,including one adapter, Gray iphone 6s plus Nano Simtray(specially molded for installing triple sim adapter). (1) Genuine BABIWA© Q series triple Sim Card Adapter for Apple iphone 6s plus (Space Gray) .Newest Release. (Support Any Universal or Worldwide Version).